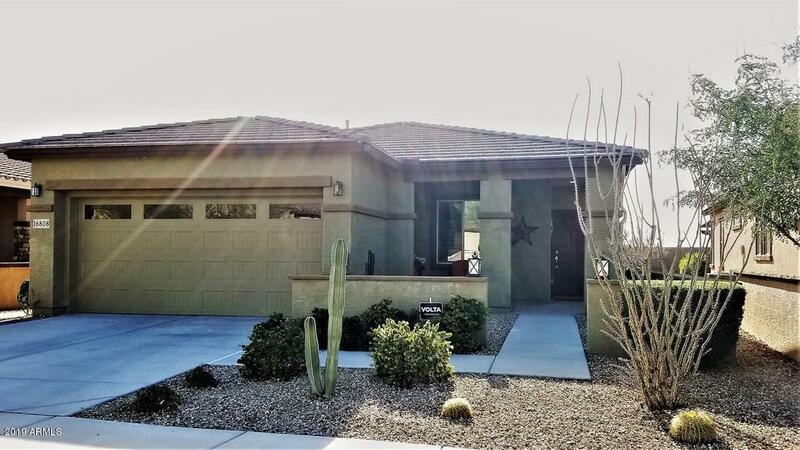 Gorgeous one-owner home in the amenity-filled community of CantaMia at Estrella! Home has two bedrooms and two baths, split floor plan + a great sized Den. Upgraded Kitchen with beautiful dark wood cabinets, granite counters, a large island with breakfast bar. Open floor plan into a spacious Living Room area. Custom window shutters throughout home. 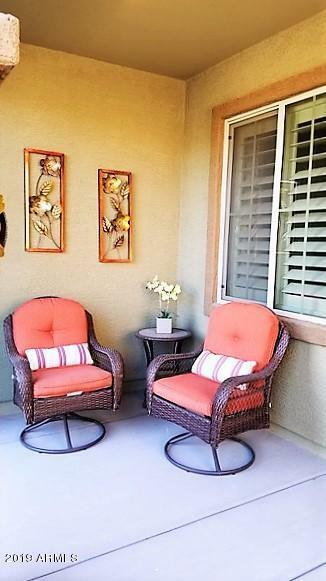 Beautiful tile throughout main living spaces, carpeted bedrooms. 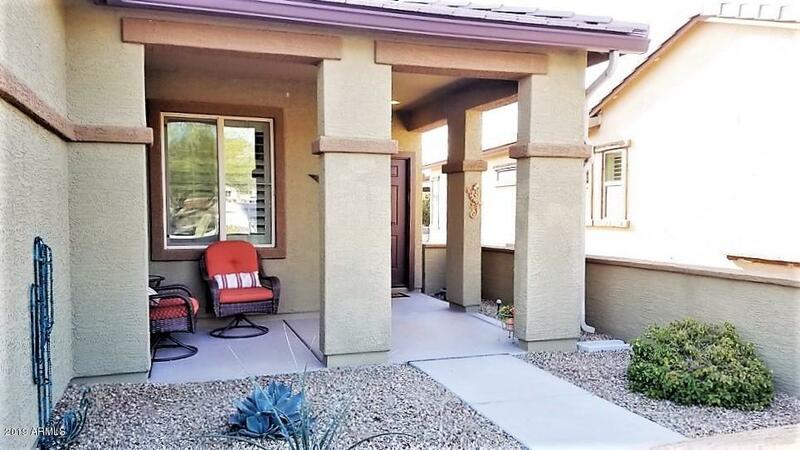 Fantastic covered front porch area with mountain views. 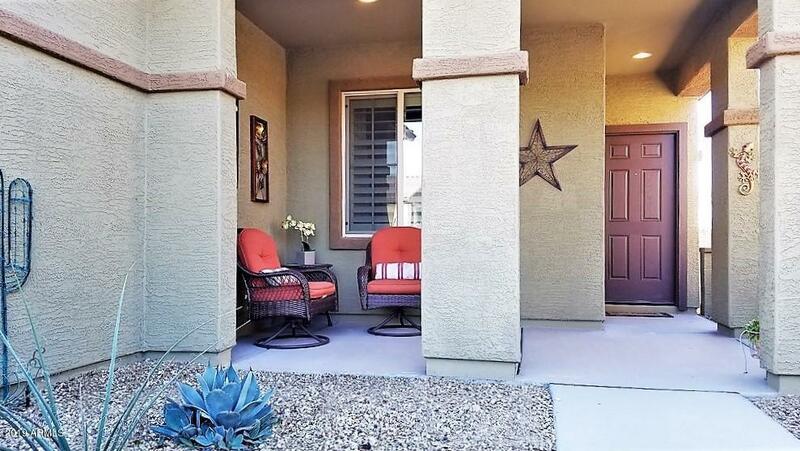 Great covered rear patio that backs up to a greenbelt, no rear neighbors!! Gas stub in back for a BBQ! !Priced to sell!! Bring your buyers today, won't last long!! 55+ Community!! Listing courtesy of Fort Lowell Realty & Property Mgmt.